While I’m not one for the current popular trend of taking pictures of LEGO in the outdoors, this build by Dödke deserves some attention. 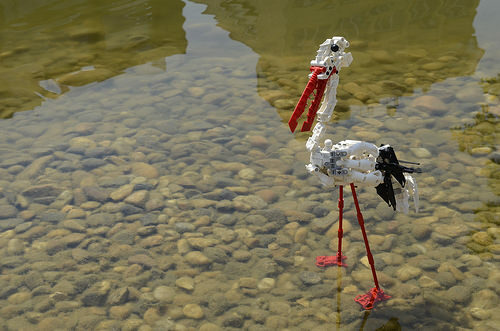 The stork’s design is instantly recognisable, and the shallow, rock-lined water pool adds a lot to the build. Unfortunately, this also comes with some sad news as the builder states that this stork, Kele, was named after an animal that was killed. Luckily, it’s now immortalised in the brick!